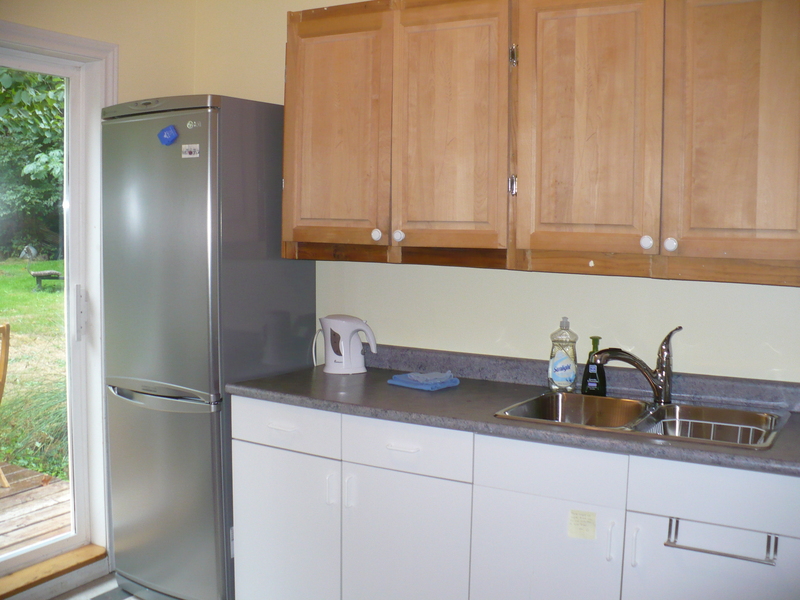 We provide a fully stocked kitchen, including fridge, one-burner hotplate, microwave oven, convection style toaster oven, double sink, and cupboards full of kitchenware. A propane BBQ is available on the patio. In addition, guests will find organic coffee, a variety of teas, milk, sugar, honey, a selection of condiments, cooking oil, some cereal, and a welcome bowl of fruit and a snack or two.